What does that $5 T-shirt mean to you? If you think that the $5 is stretched between the big box stores profits, overhead, and then some very small portion would go to the person who made it. 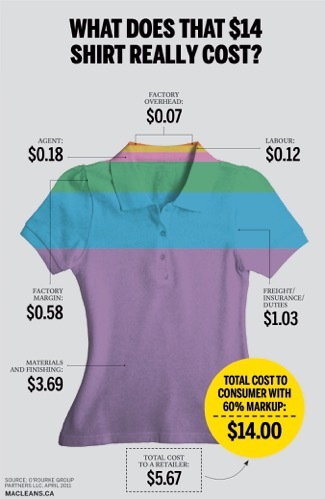 Maclean’s had an Article that suggested for a $14 shirt, the worker would receive $0.12. How can they live on this income? They can’t. So by me buying that cheap shirt I am inadvertently perpetuating the cycle of poverty and fast fashion. 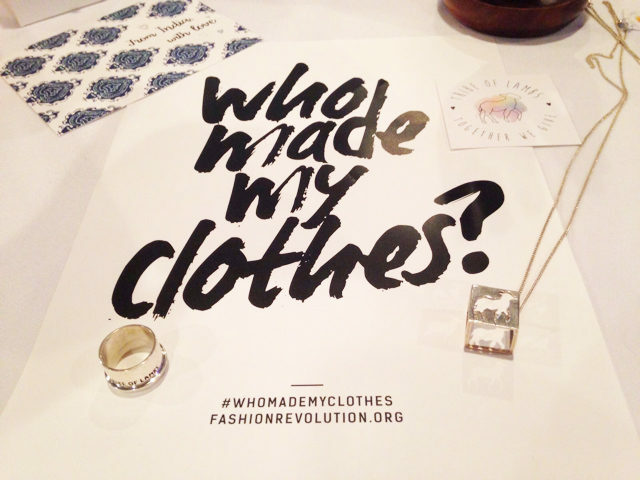 What does that $5 T-shirt mean to the person who made it? I don’t know how many times I have been in a store, tried on a shirt, thought to myself “It’s okay, It’s fine!” looked at the price tag, saw $5 (or whatever cheap amount) and said “I might as well get it for that price, whether I wear it or not”. Many times I have wore the shirt once, maybe twice, then decided I didn’t like or it wasn’t my style and then I give it away or donate it. No big deal right? Only $5! WE VOTE EVERY TIME WE PURCHASE SOMETHING. WHAT YOU WEAR, WHAT YOU EAT, WHAT YOU PUT ON YOUR SKIN OR EVEN IN YOUR HOME HAS AN IMPACT. MAKE SURE YOUR VOTE HAS A POSITIVE IMPACT ON OUR WORLD. MAKE A DIFFERENCE WITH YOUR DOLLARS! 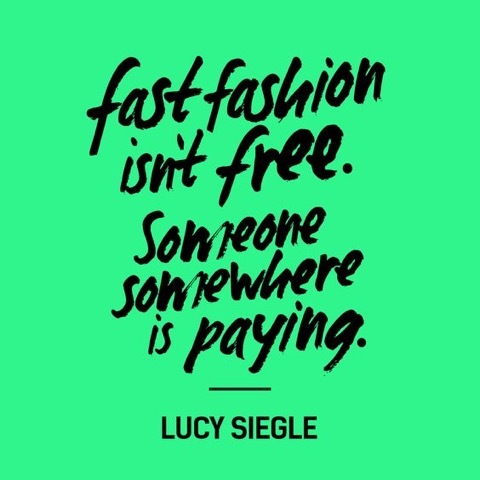 Shop Compassionately this spring and always. How can you beat the giants needing the manufacturing en masse ?